This promotion is in no way Administered, endorsed or administered by, or associated with, Facebook, Twitter, Instagram or any other social network or platform. You understand that you are providing your information to Administrator, and not to, Facebook, Twitter, Instagram or other social network or platform. Eligibility: The Beyond Wonderland Card Game (“Promotion”) is open only to natural persons who are legal residents of the United States of America who have a valid social security or tax ID number, and who are at least eighteen (18) years of age at the time of entry. Promotion may only be entered from and in eligible jurisdictions. Administrator, prize providers, and their respective parent, subsidiary and affiliate companies, employees, agents, and suppliers, as well as the immediate family (spouse, parents, siblings, and children) and household members of each such employee are not eligible to participate. In the event of a dispute as to the identity of an entrant, the authorized account holder of the account will be deemed to be the entrant. Administrator may request any potential winner to provide proof that such person is the winner. All potential winners are subject to verification before any prize will be awarded. Subject to all applicable, federal, state, and local laws and regulations. Void where prohibited. Participation constitutes entrant’s full and unconditional agreement to these Official Rules and Administrator’s decisions, which are final and binding in all matters related to the Promotion. Winning a prize is contingent upon fulfilling all requirements set forth herein. Sponsor and Administrator: The Sponsor of the Promotion is Insomniac Holdings, LLC., referred to herein as “Administrator”. Timing: Administrator’s clock is the official time keeping device of the Promotion. The Promotion period: The Promotion period begins at 4:00 PM Pacific Time (“PT”) on December 31, 2018 and ends at 11:59 PM PT on March 7, 2019. Distribution period: The distribution of Game Cards will take place between 4:00 PM PT on December 31, 2018 and 4:00 AM PT on February 24, 2019. Cards will be distributed during the times set forth in the chart provided at the end of the Official Rules, or until Cards have been distributed, whichever comes first. To find out when all Cards have been distributed, go to https://beyondwonderland.com/beyondcards. Entry submission period: The Entry submission period begins at 12:00 PM Pacific Time (“PT”) on January 1, 2018 and ends at 11:59 PM PT on March 7, 2019. How To Play: During the Promotion period, follow the steps below. Collect the game cards (each a “Card”) from a member of the Insomniac street team who will be randomly distributing at the Beyond Wonderland activation area at the locations set forth in the chart provided at the end of the Official Rules (while supplies last). For all entries: All entries must be postmarked no later than March 7, 2019 and received no later than March 13, 2019, or potential winner forfeits the prize, which will remain un-awarded. Prizes will be distributed on a first come, first served basis in accordance with the Prize outline set forth below. Each potential winner should retain a photocopy of his/her winning Cards. Use of certified mail/return receipt requested is recommended. Each participant is eligible to submit Game Cards to claim up to one (1) Prize during the Promotion Period, regardless of method or combination of methods of entry or number of entries submitted. Multiple entrants are not permitted to share the same email address or other relevant account. Facsimiles, photocopies & reproduced Cards are not eligible. Proof of sending or submission will not be deemed to be proof of receipt by Administrator. Any attempt by any entrant to obtain more than the stated number of entries by using multiple/different addresses, email addresses, identities, registrations or any other methods will void that entrant’s entries and that entrant may be disqualified. Use of any automated technology or system to participate is prohibited and will result in disqualification. Any automated receipt (such as one confirming delivery of text message or e-mail) does not constitute proof of actual receipt by Administrator of an entry. Administrator is not responsible for lost, late, incomplete, invalid, unintelligible, illegible, misdirected or postage-due entries, which will be disqualified. Cards will be returned upon winner confirmation to the address provided with entry, however, Administrator is not liable for lost or damaged Cards. Game Prizes: Eighty (80) Beyond Wonderland T-shirt Prizes; Five (5) Electric Daisy Carnival Las Vegas Prizes; Five (5) Beyond Wonderland “Eat Me” Festival Experience Package Prizes; Four (4) Beyond Wonderland “Mad Hatter” Festival Experience Package Prizes; and Six (6) Beyond Wonderland “The Eye” Festival Experience Package Prizes. 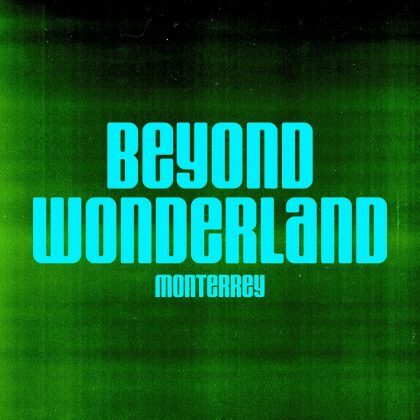 Beyond Wonderland T-shirt Prizes consisting of one (1) t-shirt. Color, design, and style to be determined at sole discretion of prize provider. If winner fails to provide a size when submitting the entry, prize provider will determine the size. Approximate Retail Value of each t-shirt is: Thirty-Five Dollars ($35). 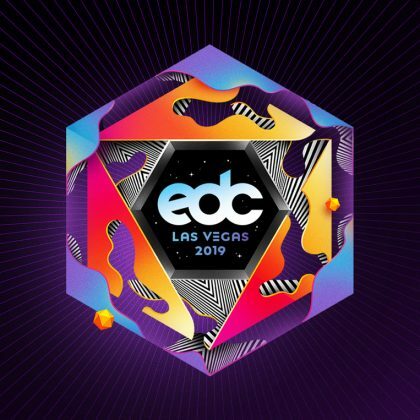 Electric Daisy Carnival Las Vegas Prizes consisting of one (1) general admission 3-day pass to attend Electric Daisy Carnival Las Vegas 2019 at Las Vegas Motor Speedway in Las Vegas, NV scheduled to take place on May 17, May 18 and May 19, 2019. Winner must abide by all venue and festival policies. Parking, travel and accommodations not included and are the sole responsibility of winner. Administrator reserves the right to not award any prize to, or to revoke full or partial prize from, any winner who Administrator and/or venue personnel deem may, in their sole discretion, be intoxicated, be a safety risk, have violated any venue policy or law, and/or may bring Administrator into disrepute. The prize is non-transferable and resale of tickets is prohibited. Approximate Retail Value of the each pass is: Four Hundred Thirty Nine Dollars ($439). 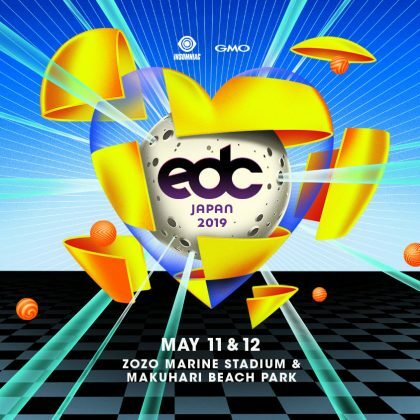 Beyond Wonderland “Eat Me” Festival Experience Package Prizes consisting of access to a food tasting tour at Beyond Wonderland 2019 at NOS Event Center in San Bernardino, CA scheduled to take place on March 22 and 23, 2019; and a sneak peak golf cart ride at the festival before it opens. Tasting and golf cart dates and times to be determined at the sole discretion of Administrator. Winner must abide by all venue and festival policies. Parking, travel and accommodations not included and are the sole responsibility of winner. Administrator reserves the right to not award any prize to, or to revoke full or partial prize from, any winner who Administrator and/or venue personnel deem may, in their sole discretion, be intoxicated, be a safety risk, have violated any venue policy or law, and/or may bring Administrator into disrepute. The prize is non-transferable and resale of tickets is prohibited. Approximate Retail Value of the Beyond Wonderland Prize is: Priceless ($0). 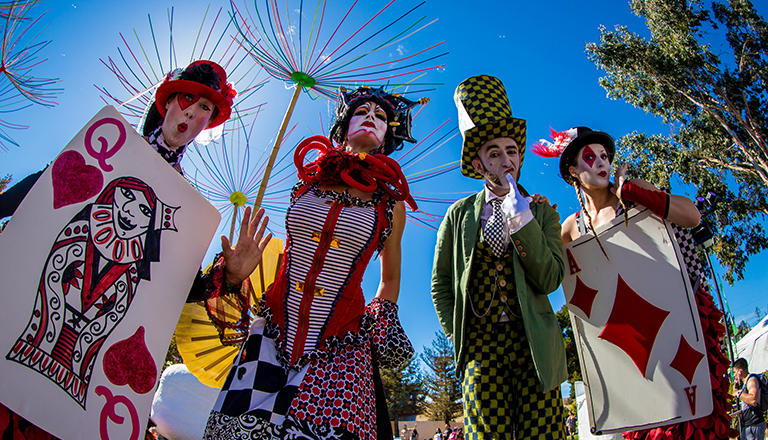 Beyond Wonderland “Mad Hatter” Festival Experience Package Prizes consisting of access to a meet and greet with one (1) performer at Beyond Wonderland 2019 at NOS Event Center in San Bernardino, CA scheduled to take place on March 22 and 23, 2019. Artist, date and time selected for meet and greet will be based on availability and will be determined at sole discretion of prize provider. Winner must abide by all venue and festival policies. Parking, travel and accommodations not included and are the sole responsibility of winner. Administrator reserves the right to not award any prize to, or to revoke full or partial prize from, any winner who Administrator and/or venue personnel deem may, in their sole discretion, be intoxicated, be a safety risk, have violated any venue policy or law, and/or may bring Administrator into disrepute. The prize is non-transferable and resale of tickets is prohibited. Approximate Retail Value of the Beyond Wonderland Prize is: Priceless ($0). Beyond Wonderland “The Eye” Festival Experience Package Prizes consisting of access to onstage viewing of one (1) artist performance at Beyond Wonderland 2019 at NOS Event Center in San Bernardino, CA scheduled to take place on March 22 and 23, 2019. Artist, date and time selected for onstage viewing will be based on availability and will be determined at sole discretion of prize provider. Winner must abide by all venue and festival policies. Parking, travel and accommodations not included and are the sole responsibility of winner. Administrator reserves the right to not award any prize to, or to revoke full or partial prize from, any winner who Administrator and/or venue personnel deem may, in their sole discretion, be intoxicated, be a safety risk, have violated any venue policy or law, and/or may bring Administrator into disrepute. The prize is non-transferable and resale of tickets is prohibited. Approximate Retail Value of the Beyond Wonderland Prize is: Priceless ($0). For all prizes: Prizes will be fulfilled to winner within thirty (30) days. Odds of obtaining various Game Cards depends on the number of times participant attends an event set forth above and the Cards distributed. There will be only one prize per winner. Lost or stolen prizes will not be replaced. Prize does not include any other item or expense not specifically described in these Official Rules, and any such additional expenses are the sole responsibility of winner. Prizes may not be transferred or assigned. Only listed prizes will be awarded and no other prizing or substitutions will be made except at the sole discretion of Administrator. Winners agree to accept the prize “as is”, and entrants hereby acknowledge that Administrator has neither made nor are in any manner responsible or liable for any warranty, representation, or guarantee, express or implied, in fact or in law, relative to the prize, including express warranties (if any) provided exclusively by a prize supplier that are sent along with the prize. Any valuation of the prizing stated above is based on available information provided to Administrator and the value of any prize awarded to a winner may be reported for tax purposes as required by law. Each winner is solely responsible for reporting and paying any and all applicable taxes. Each winner must provide Administrator with a valid taxpayer identification number or social security number before any prize will be awarded. A Form 1099 will be issued to the winner for value of prize $600 or more.